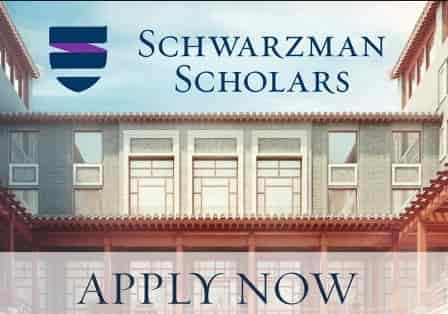 Edulantern.com - Schwarzman Scholars gives the world’s best and brightest students the opportunity to develop their leadership skills and professional networks through a one-year Master’s Degree at Tsinghua University in Beijing – one of China’s most prestigious universities. Students will spend a year immersed in an international community of thinkers, innovators and senior leaders in business, politics and society. They will learn from one another and pursue their academic disciplines while building their leadership capacities. This experience will expand students’ understanding of the world and create a growing network of global leaders for the future. 1. Undergraduate degree or first degree from an accredited college or university or its equivalent. Applicants who are currently enrolled in undergraduate degree programs must be successfully complete all degree requirements by August 1, 2019. 2. Candidates must be at least 18 but not yet 29 years of age as of August 1, 2019. 3. Applicants must demonstrate strong English skills. If the applicant’s native language is not English, official English proficiency test scores must be submitted with the application. 4. Open to all international students. 5. There is no minimum GPA or class rank required to apply, nevertheless applicants are expected to have demonstrated excellence in their academic studies, and the most competitive candidates will be among the top students in their graduating class. 1. A complete and successfully submitted online application. 2. Transcripts/academic records from every degree-granting college or university attended. 3. Three electronic letters of recommendation. 4. Submission of a video is strongly recommended but not required. The video can be up to one minute in length, and candidates are invited to introduce themselves in any style or setting they think best conveys their interests and personality. Note: If transcripts are not in English, official translations must be included. Please note that application for this program is completely online. Thanks for reading Schwarzman Scholars One Year Master Degree at Tsinghua University, Beijing. Please share...!